Chapter Seven: A Whispering Fish, A Bargaining Eel. A new chapter is finally upon us. Gods be praised! What happens now that Raothan has discovered Niquel actually can speak Novamnean? Will Bellora walk away from her night with General Ayzhus unscathed? 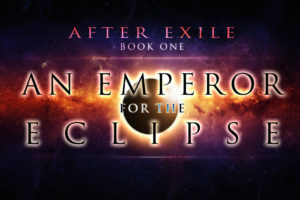 Can our hero sort out all these problems before the eclipse claims his life? Can I make this email sound any more like a Batman episode cliffhanger?! BIFF! POW! Oh, and there’s a fish talking to an invisible bird. Then it gets weird. Check out an excerpt below, or skip right to Literotica and read Chapter Seven now. And please do comment on Lit! I respond in the comments section about every five comments or so. Love to hear from you! She almost wet down her own leg at the jolt of a fist banging at the door. The whole wall seemed to shake. Oh, balls. What could these idiots want? Bellora scurried around the table to the door, knowing the potter’s wife—her landlady—would be none too pleased if part of the property was splintered to bits. It felt like an awl was pushing through her temple as she moved. This better be important. Assholes. “Yes?” she said in irritation as she yanked the door open to a bracer-clad arm still in mid-air. It wasn’t even a question. 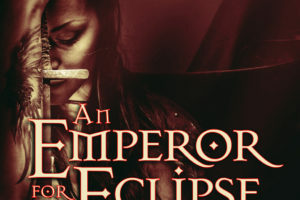 The blunt-nosed officer smirked down at her, two more of the palace guard flanking him from behind. She was in no mood. “What do you want?” Hadn’t Ayzhus said she was free to go? 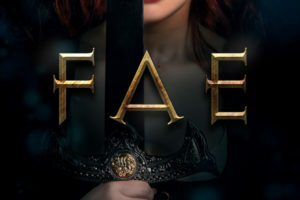 Jennifer Bene’s “Fae” has a new cover!